13/08 "Mining of the crypto currency and mining of gold - similar processes, in both cases a lot of resources are expended..."
16/08 GoldMint blockchain: why custom? 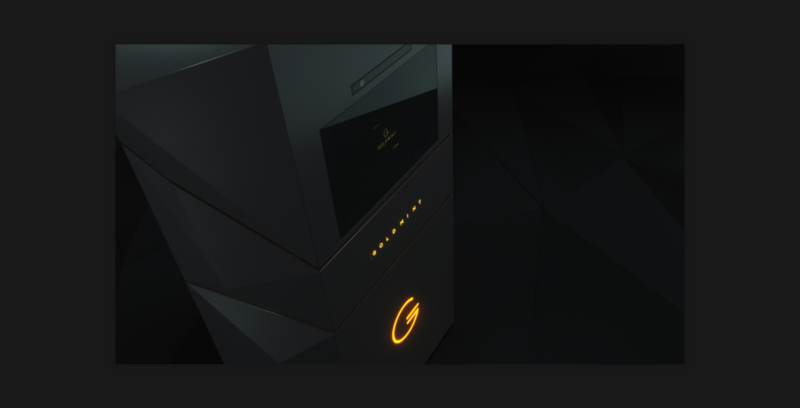 18/08 GoldMint Elevator pitch by the platform’s co-founder and CEO Dmitry Plutschevsky. 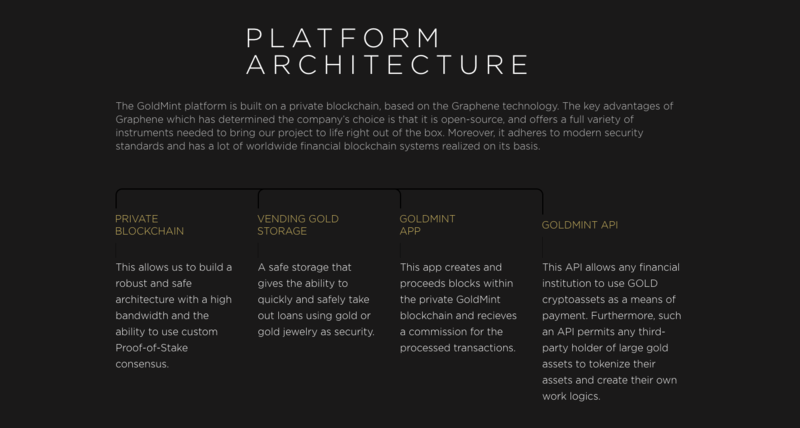 20/08 "The GoldMint platform requires special security for transactions with GOLD cryptoassets..."
23/08 GoldMint in blockchain media. Part II. 24/08 Who - and how - will use GOLD cryptoassets? 29/08 Visiting Conference "Blockchain: the new oil of Russia"
31/08 Custody Bot turns jewelry into cryptoassets. Crypto magic or crypto alchemy? 04/09 "Did you know that the maximum transaction capacity of Bitcoin is 2 transactions per second, while Visa can handle up to 56000?..." 04/09 "An international conference "Blockchain & Bitcoin Conference" on the 7th of September in Stockholm"
07/09 "Apart from blockchain, another thing that makes the world a better place is charity..."
08/09 "The developers of Custody Bot talk about the project, technical details and reveal the plans for the development..."
12/09 Win-win mining: How MNT tokens holders can earn on verifying transactions. 13/09 GoldMint CEO spoke about the ICO, coming September 20th, unique features of the MNTP token and entering American exchanges. 13/09 Innovation in blockchain technologies!You give us your gold, and our Custody Bot exchanges it for tokens. 14/09 We are going to convert gold from a dead metal lying in safes to dynamic reservoir of value for peer-to-peer transactions. 14/09 How can the cryptocurrency market benefit from gold’s attributes? 14/09 "Right now our team is touring top gold storages and precious metals exchanges in the world, and talks are happening today with the Singapore Precious Metals Exchange"
15/09 Our team met with Vitalik Buterin, we got valuable advice and discussed our concept of stable coin. 15/09 We are completely ready for ICO and posted the code for our smart contract on GitHub. 15/09 Currently our team is in meetings with partners in Asia: banks, gold traders, investors! 18/09 "We are set to transform the business processes of over 2000 jewelry companies from around the world..."
18/09 "GOLD cryptoassets are a perfect solution for projects conducting ICO..."
19/09 "The ICO event Moscow conference is happening tomorrow..."
19/09 What is GOLD cryptoassets and how to use them? 19/09 Are you up-to-date with GoldMint’s bonus scale? 19/09 "This article tells you everything you need to know about our upcoming ICO..."
20/09 "Our ICO is today!..." 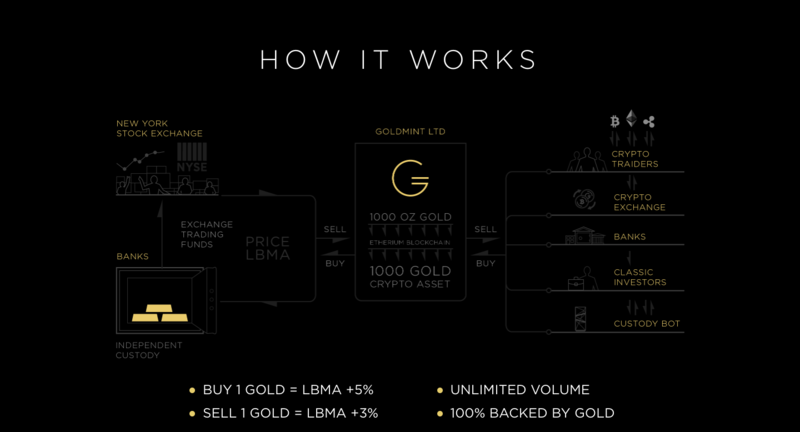 20/09 "GoldMint has raised 1 000 000 dollars within 4 hours...."
20/09 "Read the detailed comparison of GOLD to other gold-backed coins..."
20/09 "GoldMint team at London Blockchain Live conference 2017..."
20/09 "GoldMint has successfully passed the three million dollars milestone..."
21/09 "GoldMint ICO: Day 1 results"
21/09 "We've already sold the first share of MNTP tokens"
22/09 "High-Tech Gold Vending Machines"
22/09 "We have just taken first place in the pitch session for blockchain startups CryptoBazar!" 22/09 "GoldMint referral system has been launched!" 25/09 "Our advisor Vladislav Martynov spoke today during the Blockchain Middle East forum in Dubai and presented our project!" 25/09 "We are excited to present at the Blockchain and Bitcoin Conference in Almaty on the 27th of September..."
26/09 "We will be participating in the InvestBazar and CryptoBazar International Pitch-session Day in Dubai, September 27th!" 28/09 "See our photo from Blockchain and Bitcoin conference in Almaty!" 28/09 "We recently had a meeting with the Head of Innovation Hub at DMCC (Dubai Multi Commodity Center)"
29/09 "Everything there is to know about Custody Bot as of this day"
11/10 "Calling all MNTP investors!" 12/10 "Today we took part in the Blockchain & Bitcoin conference in Kiev"
13/10 "GoldMint is accelerating and corrects its development plan." 16/10 "GoldMint is pleased to announce an integration with Bancor." 17/10 "We recently conducted a voting poll to let you decide on our future development plans." 25/10 "As you all now, the new Bitcoin hardfork is behind us, so the storm has passed." 30/10 "As Vitalik talks about failures of many projects, we'd like to remind you of our meeting and our discussion." 01/11 "In order to strengthen en out project and promote it in the international cryptocommunity..."
03/11 "Last week our team visited the two-day World Blockchain Summit conference in Dubai"
07/11 "Today we'd like to show a video about MNT and MNTP tokens to the new members of our community." 08/11 "A major vulnerability has been found within the popular wallet, Parity Tech." 09/11 "Plans for the upcoming SegWit2x update have been put on hold, said the project leader Mike Belshe." 10/11 "THE LAST CHANCE TO JUMP IN GOLD." Great staff and team. Awesome concept idea. Stay tuned. Great project. I hope it will be more than we thought. Hi Admin,Can you please describe in detail how it is backed by Gold and is its price depends on price of gold in international market.